Sewing patterns have been the principle blueprint for making garments in the home for centuries. From their origins in the tailoring manuals of the 16th century to the widely produced pamphlets of the 18th and 19th centuries, through to the full size packet patterns of today, their history and development has reflected major changes in technology (such as the advent of the sewing machine), retailing and marketing practices (the fashion periodical), and shifts in social and cultural influences. 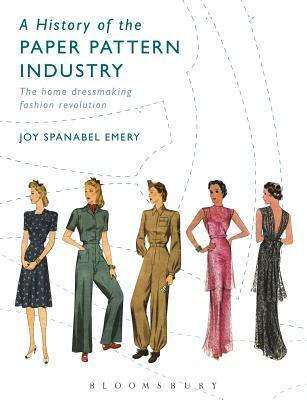 This accessible book explores this history, outlining innovations in patternmaking by the companies who produced patterns and how these reflected the fashions and demands of the market. Showcasing beautiful illustrations from original pattern pamphlets, packets and ads, as well as 9 complete patterns from which readers can reproduce vintage garments of different eras, the book provides a unique visual guide to homemade fashions as well as essential exploration of the industry that produced them. Joy Emery is Professor Emerita of Theatre and the Curator of The Commercial Pattern Archive at the University of Rhode Island, USA.